Repair your damaged tooth with a long-lasting, durable, natural-looking dental onlays. 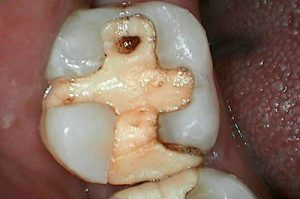 When your tooth isn’t damaged enough to warrant a crown, but it requires more attention than a filling, a dental onlay serves as a strong and reliable solution. Your tooth will function normally again, feel comfortable, and blend in with the rest of your smile. Dental onlays are similar to a tooth filling, but they are the more conservative way to repair a damaged tooth. Far less invasive than a crown, an onlay is layered on a tooth to repair damage, decay, chips, cracks, gaps, or even dullness or discoloration. A durable and reliable tooth restoration, a tooth onlay is sometimes referred to as a partial crown. 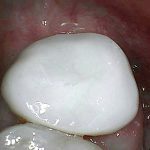 The reason for this comparison makes sense: An onlay covers one or more cusps of the tooth in question, and sometimes even covers the entire biting surface of the tooth. This application differentiates the dental onlay from the dental inlay – inlays are similar to a filling because they are smaller and used in the center of a tooth. In situations where an old dental filling needs to be replaced, dental onlays are often a great repair option. 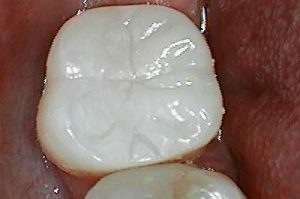 The onlay is fabricated from a tooth impression, tried on for fit and size, then bonded in place. For teeth that are suffering with a large cavity, or that have less tooth structure for the dentist to work with, an onlay is an ideal solution. The removal of tooth enamel is not necessary – the onlay does the exact opposite: It builds the tooth structure back up again so that invasive procedures are not necessary. 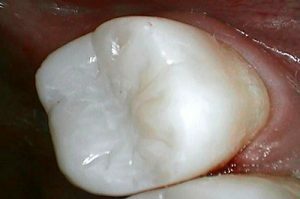 The natural appearance of a composite tooth onlay also makes it an attractive restorative dentistry option. A tooth sporting an onlay will not only look and feel like a natural tooth, it will function like a natural tooth. Onlays are also stain resistant, and that’s always a plus. When a tooth is too damaged to support a tooth-colored filling but not quite damaged enough to need a porcelain crown, dental onlays are an ideal option. Each composite dental onlay is custom-made to suit the tooth in need and works to stabilize an already-shaky tooth structure while preventing the tooth from experiencing further deterioration or decay. The composite tooth onlay procedure usually takes only two visits with your Moorestown biomimetic dentist to complete. The first appointment includes an examination of your mouth and a review of all restorative dentistry options. If it is determined that a composite tooth onlay is the best solution for your oral health problems, a tooth restoration plan will be made for complete tooth repair and treatment will begin. At this first visit, your Moorestown dentist will take an impression of your damaged tooth. 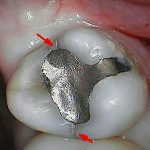 From there, your tooth impression will be sent to the dental lab so that custom-made tooth restorations can be made. The second dental onlay appointment will begin with placing the composite tooth onlay to ensure that it fits properly and matches your natural teeth in color. 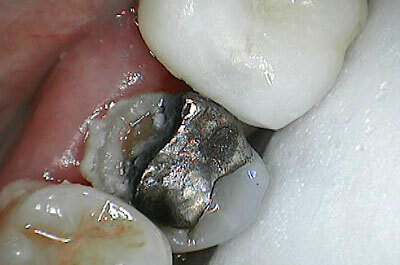 If all elements are correct, the onlay will be permanently fixed to your damaged tooth. Your biomimetic dentist will shape and smooth the onlay as needed and confirm that your bite is comfortable. 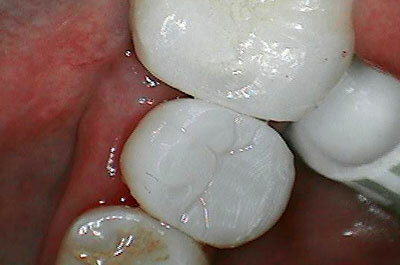 Crowns are an excellent restorative dentistry solution when appropriate. They are stable and durable and blend in naturally with the rest of your smile while thoroughly protecting your tooth. 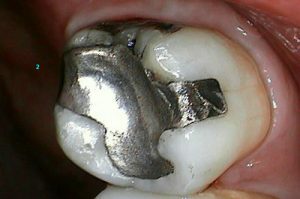 But crowns do require the removal of some tooth structure so that the crown will fit properly. 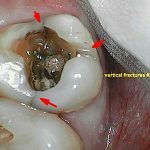 Dental fillings also repair a cavity-laden tooth, but large dental fillings are known to weaken the remaining tooth structure, leading to breaks or cracks in the teeth. When a restorative dentistry repair could lead to more problems in the future, a dental onlay may be the recommendation in order to protect the integrity of your tooth now and later. A composite tooth onlay is an ideal happy medium between a dental filling and a porcelain crown, durable and natural-looking. Onlays can last for decades if you take good care of your teeth and practice diligent preventive care. 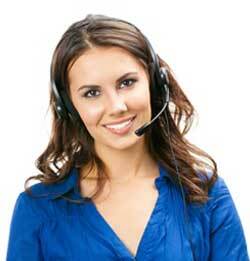 Call us now at (856) 533-0900 for your free consultation or to schedule your dental appointment.